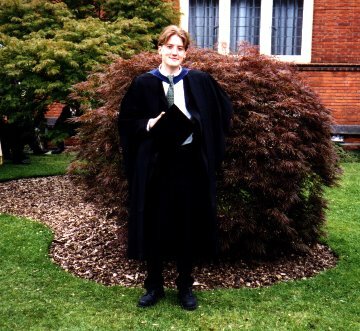 July 1998. 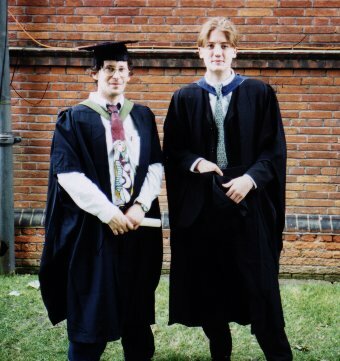 Me and my friends graduating from Reading University. 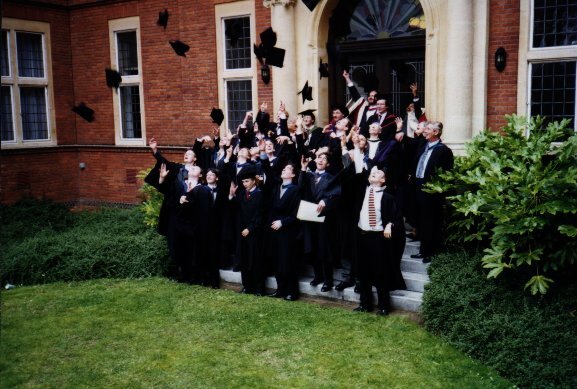 See also pictures from graduation day in the Radstock Photo Archive. Tim views Mog (I think) with some degree of suspicion. We may never know why. 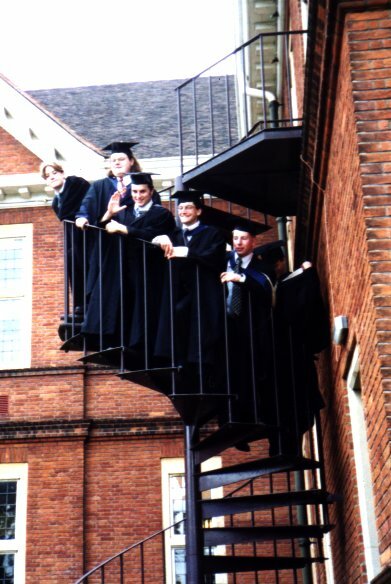 As though anyone had fire escapes in mind when they built these stairs. Err, not much to say here. 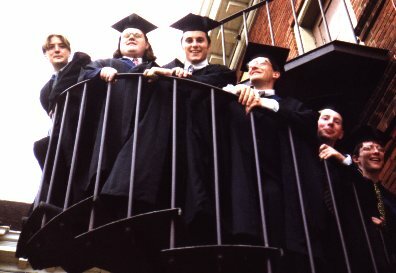 Our little gang, from left: John, Jon, Tim, Simon, Tom and Andy. Gratuitous Dave Corne shot. Nice.